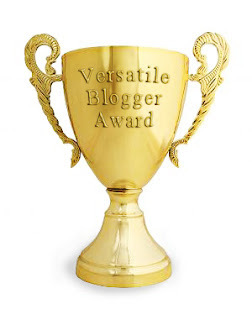 「花びらの螺旋★Petals Spirals」: Versatile Blogger Award! 2.I get depressed very easy and I'm really pessimistic. 3.I have a phobia about lizards and geckos. 5.I don't like sweets and dessert,I'd prefer meals.On the contrary,my bf loves them and eats very little of the meals.That's one of the reasons I always think we're somewhat upside down from what it should be. 7.I naturally have curly and very fluffy hair but I straighten it even once in a while to make it looks better.I'm short-sighted also,about -8.00,but I hate wearing glasses so when I go out or take pics,I'll wear contact lens instead. And that's all for the tag.I have to confess that I don't know who to tag next so I'll choose randomly by the number of comment.So,the first 7 people who comment on this entry have to do the tag. 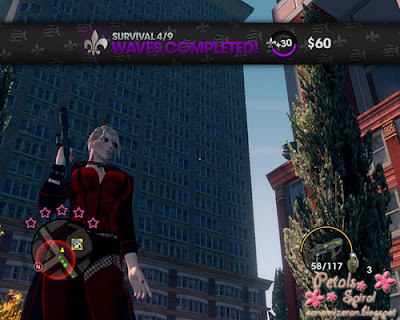 I currently don't have anything to do much except from playing Saints Row: The Third.Sometimes I play co-op mode with my cousin but then he doesn't have much time so I just mostly play it alone and have just complete all the missions last night. My Saints Row 3 character. I took this pic while I was playing the game.